If you want to create feminine and gentle outfits, then I’m absolutely sure that you need pieces of clothes or accessories from a lace. And today let’s talk about dresses or shirts with lace sleeves. 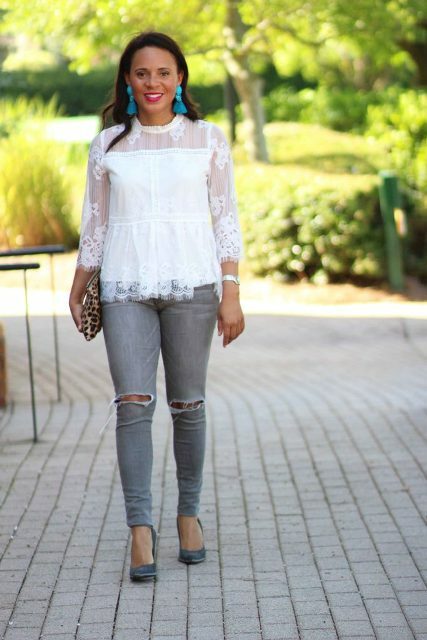 You can add such blouses or tops to any styled outfits from casual and relaxed to party ones. All you need is to choose a right color (mostly fashionistas pick up basic ones such as navy blue, black, white or beige) and type of blouses from fitted to loose, off the shoulder to wrapped ones. If you wanna something cute and stylish at the same time, then you should pay an attention to lace sleeve dresses. You can make a vacation look with a such dress, a straw hat and flat sandals or create an elegant outfit adding a statement necklace and high heels to a fitted dress. Right now you can scroll down and get inspired. 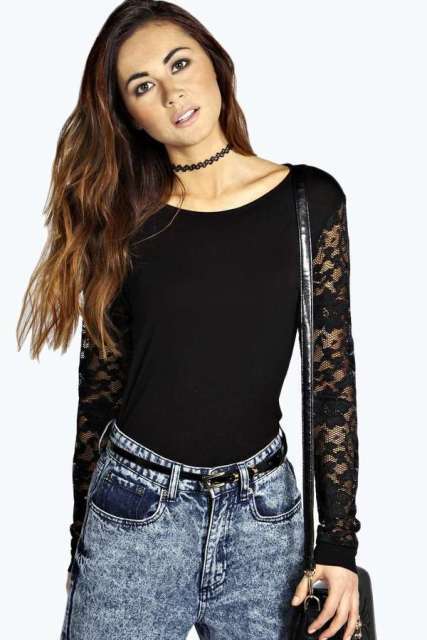 Don’t be afraid to mix a lace sleeve shirt with denim items, for example, for creating a casual outfit you can pair a black shirt with high-waisted jeans, a choker necklace and a black leather small bag. 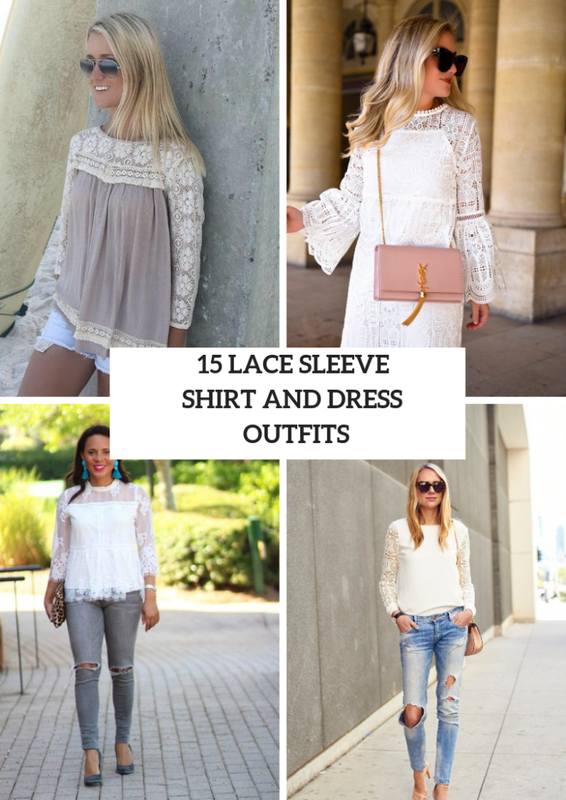 Or you can try to repeat a combination with a white loose lace sleeve shirt with oversized sunglasses, distressed jeans, beige high heels and a beige bag. Wanna make a look for hot summer days? Then choose shorts! So you can take a beige blouse and mix it with white high-waisted shorts and an embellished clutch. For those who want something eye-catching and gorgeous, I offer to combine a blue lace sleeve mini dress with a beige leather clutch and leopard ankle strap shoes. Or take a white airy loose mini dress and mix it with brown leather gladiator flat sandals.